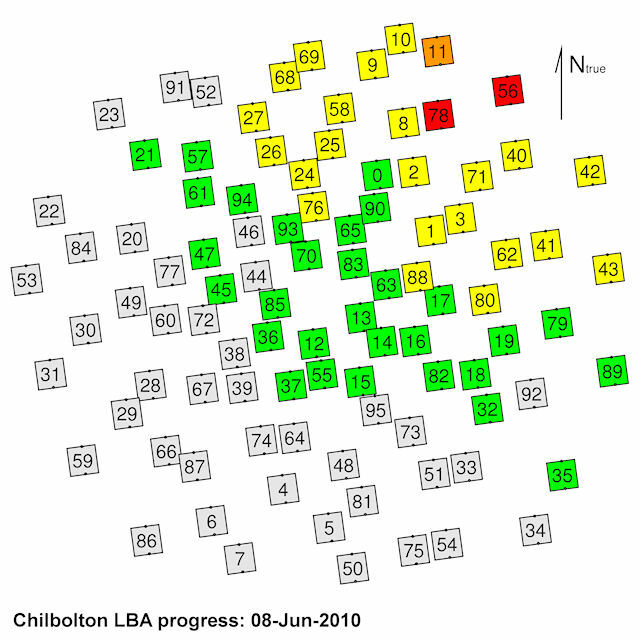 Below is the updated completion map for the LOFAR LBA antenna installation. 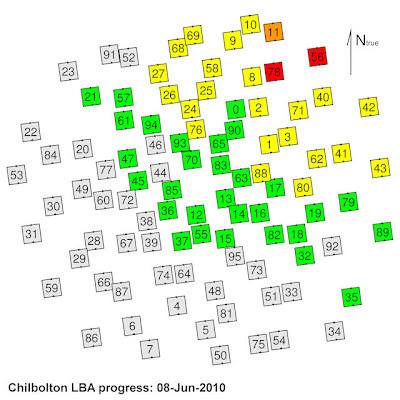 Today's progress is marked in green. Thanks go to everyone who participated. Construction continues tomorrow morning!